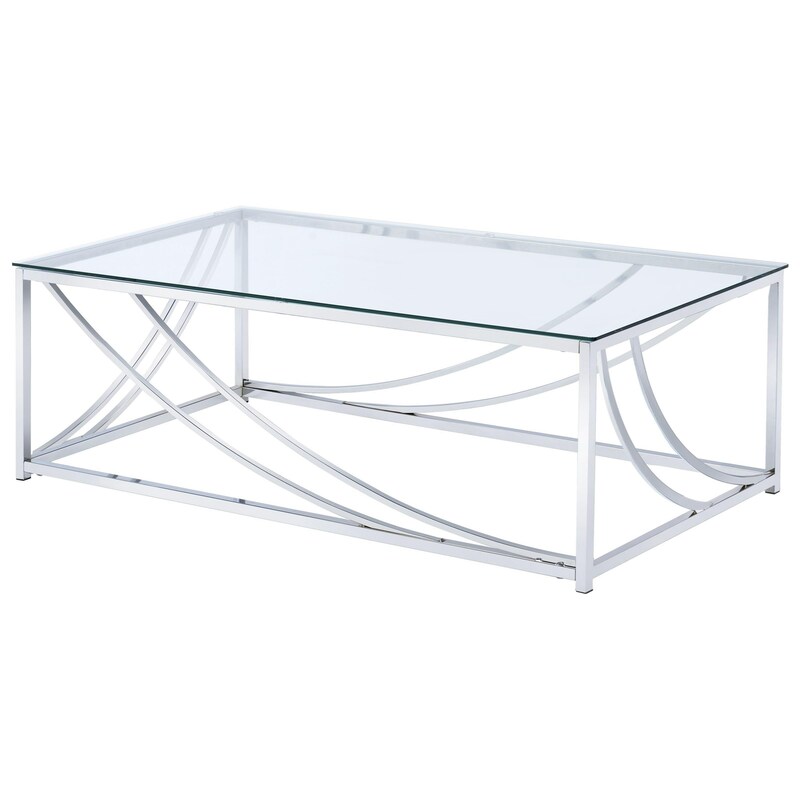 This contemporary coffee table will be a striking way to update your living room. The tempered glass top is supported by a metal frame with swooping accents. The table will make the perfect centerpiece to your living room set with fun and airy style. The 720490 Modern Glass Top Cocktail Table by Coaster at Rife's Home Furniture in the Eugene, Springfield, Albany, Coos Bay, Corvallis, Roseburg, Oregon area. Product availability may vary. Contact us for the most current availability on this product.